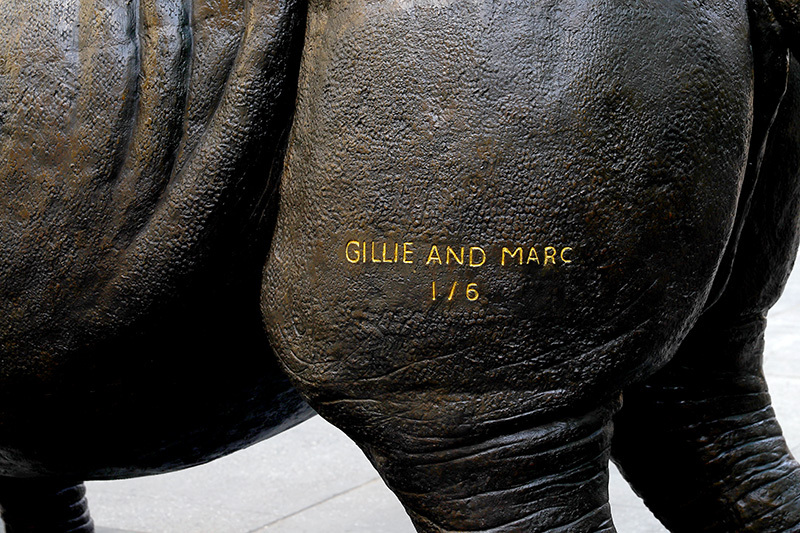 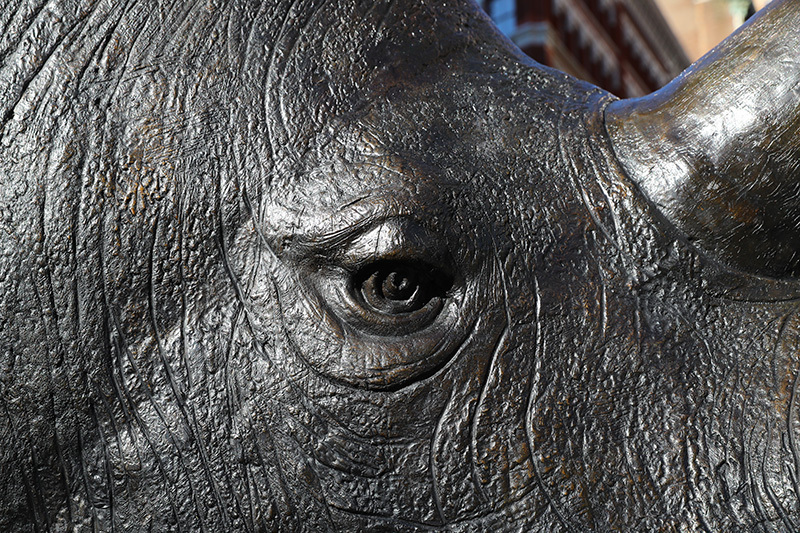 Artists Gillie and Marc Schattner have created the world’s tallest bronze rhino sculpture as a means to inspire and mobilize people to affect real change against rhino horn sales. 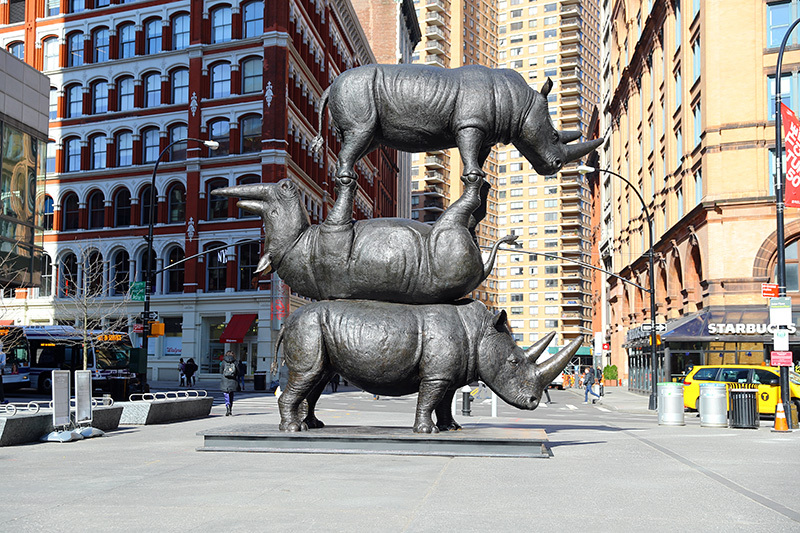 Their art calls for humans to work together to make sure that history won’t repeat itself. 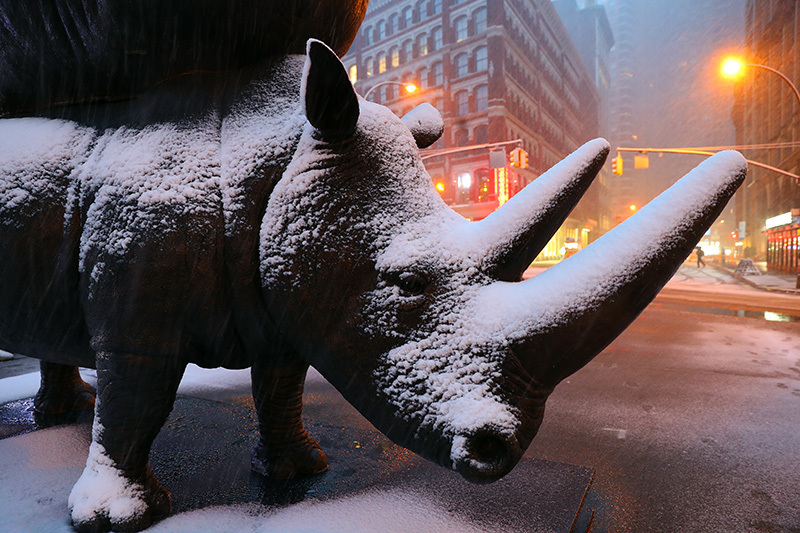 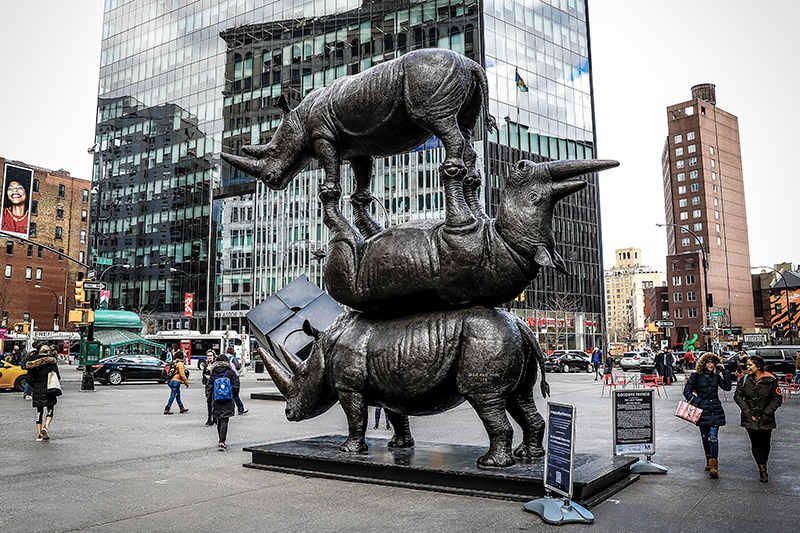 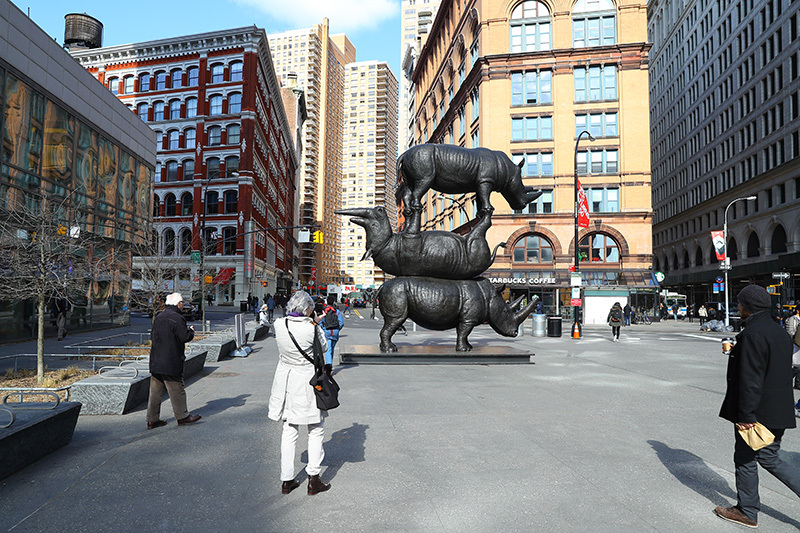 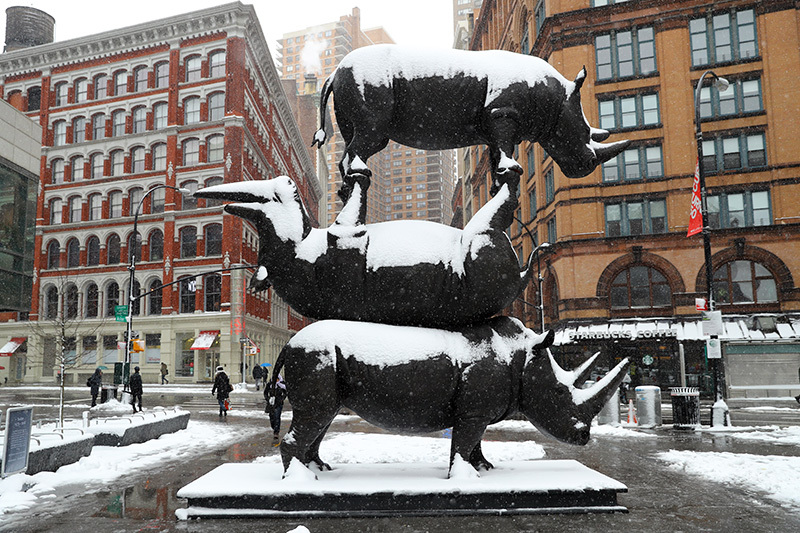 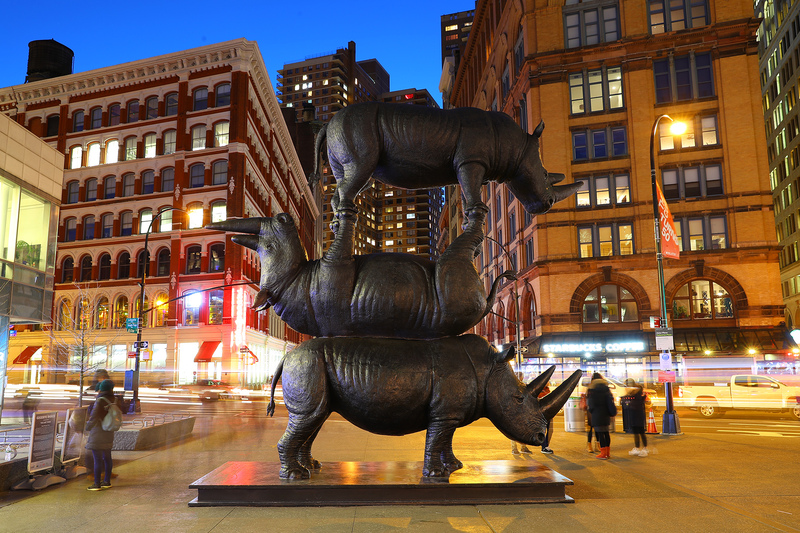 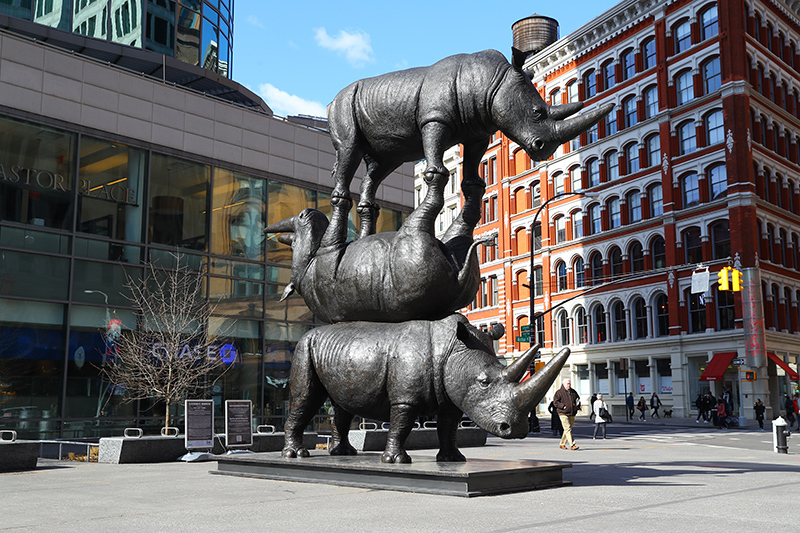 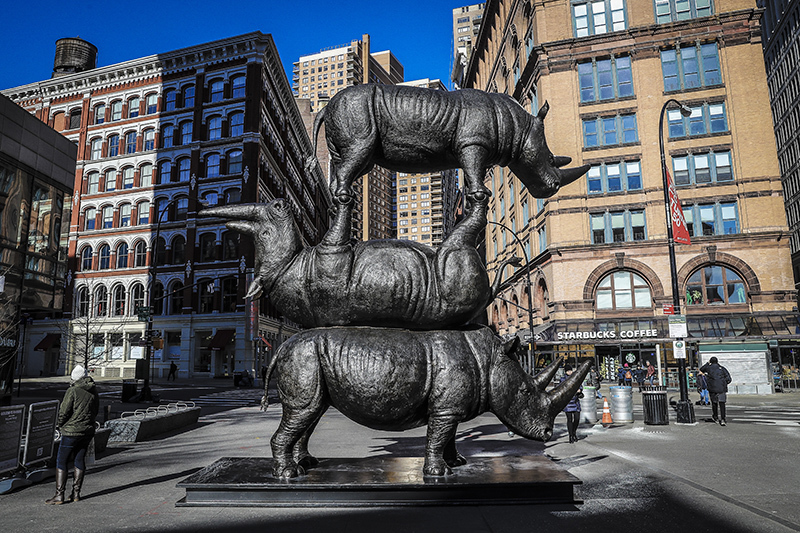 Their 17-foot tall sculpture will be used to raise critical awareness and the funds needed to protect northern white rhinos, as well as to educate people about the plight of the rhinos.